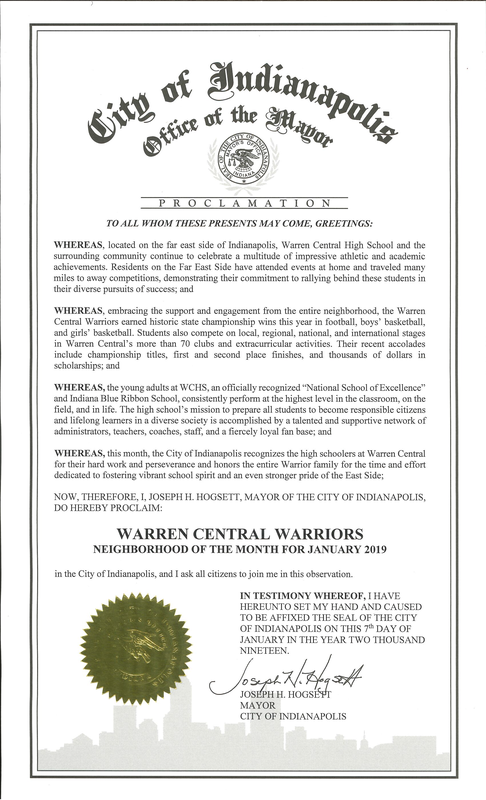 Please join us in congratulations to our Warrior Nation! 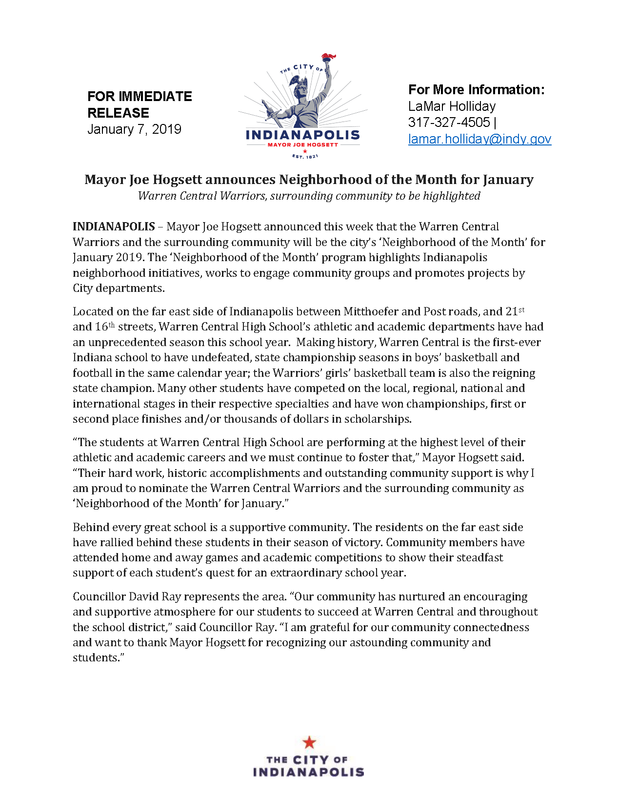 Please see the press release and Proclamation for the Warren Central Warriors recognition as the Mayor's Neighborhood of the Month. You are most welcome to attend tomorrow's January 9, 2019 Board of Education meeting for the official presentation. 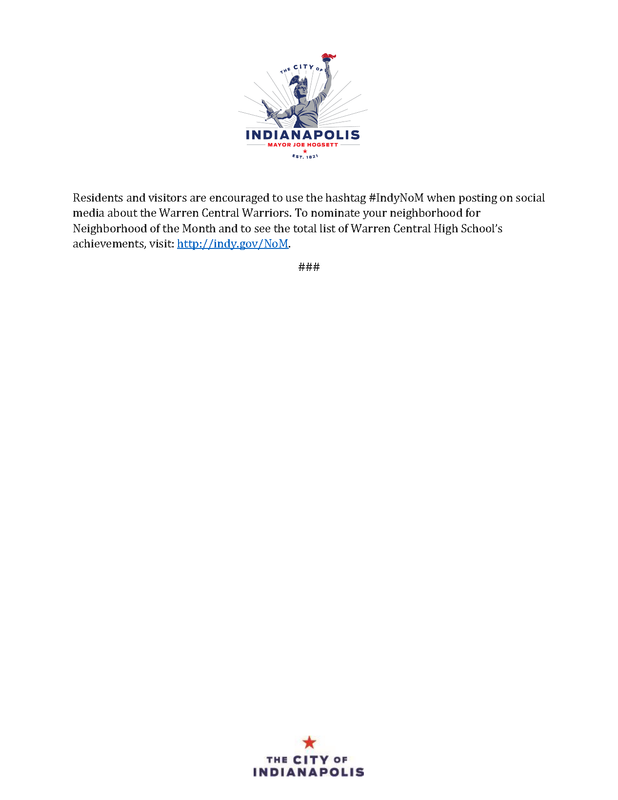 This will be on the agenda under City Announcements. You may also visit the Mayor's webpage where their achievements are highlighted.